Every December, visitors from throughout Europe visit the old market square of Belgium’s largest city to enjoy one of the continent’s most tradition-rich and colourful Christmas festivals. Adding to the warm Yuletide ambiance is the glowing lighting display that adorns the gothic buildings surrounding the square. At the heart of this panorama of light is the magnificent 123-meter-tall Cathedral of Our Lady illuminated by 50 CHAUVET Professional COLORado 1-Quad IP fixtures. 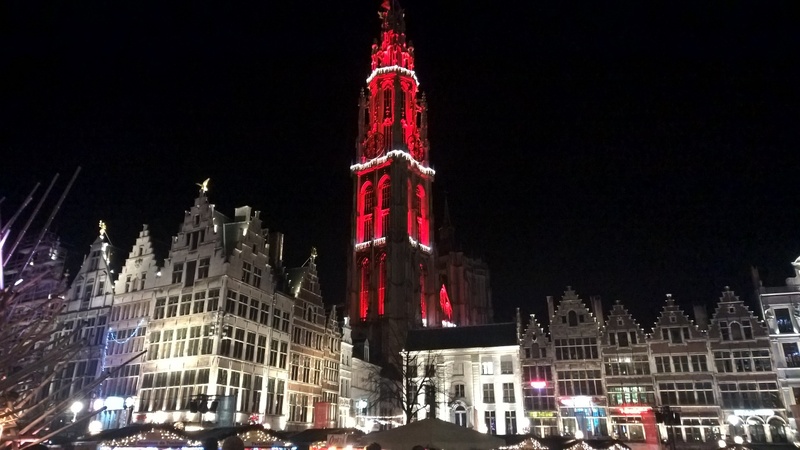 Supplied by S2 RENT, the LED wash fixtures were positioned on the balconies of the tower, a UNESCO protected site that has stood proudly in the centre of the Antwerp since 1521. According to Joery Gysen, Production Director at S2 RENT, the COLORado fixtures were an essential part of his company’s vision for transforming the historic tower into the centrepiece of the square’s Christmas lighting display. Due to the high output and consistent colour temperature of the COLORado fixtures, Gysen and his team were able to cover the window recess (each totaling 72 square metres) with ease. In keeping with the Christmas visual theme of the market square, they were able to exploit the deep saturated colours of the COLORado fixtures to give the tower a memorably festive appearance. Given that the installation lasts roughly one whole month, reliability was of upmost importance for Gysen in his choice of fixture. Due to IP66 protection housing, the COLORado fixtures have proven to be solid outdoor workhorses. 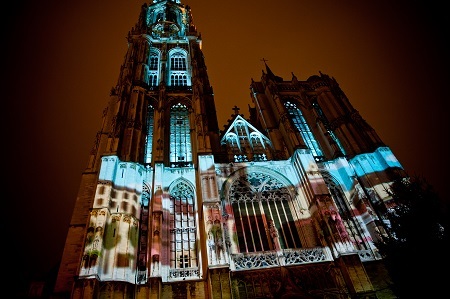 This is the second consecutive year that S2 RENT has illuminated Antwerp’s old marketsquare for Christmas. Based on the stunning results the company has achieved in 2015 and 2016, it seems that the city is strengthening its cherished holiday tradition. 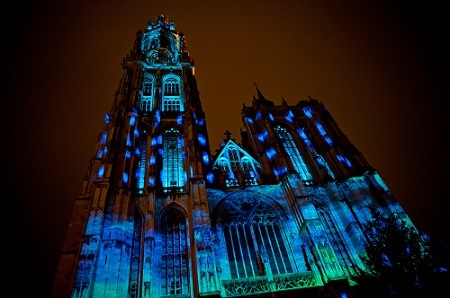 With some help from CHAUVET Professional, the Cathedral of Our Lady remains the unmistakable scenic focal point of this warm and welcoming celebration.